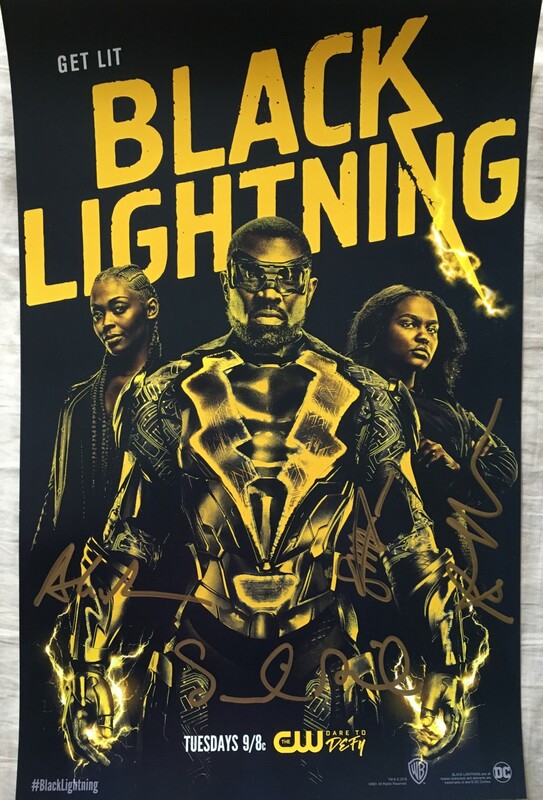 Black Lightning 11x17 poster autographed in thick gold paint by creator Salim Akil plus producers/writers Pat Charles, Adam Giaudrone and Lamont Magee. 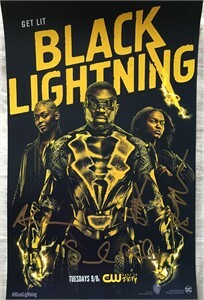 Obtained in person at limited 2018 Wondercon signing, with certificate of authenticity from AutographsForSale.com. ONLY 2 AVAILABLE FOR SALE.